itNurse NCLEX Review, 94% Pass Rate!, Best NCLEX Review! Here it is! The itNurse NCLEX® Review three-day workshop! Our review includes up to date test items including the new NCLEX® Next Generation questions! Our comprehensive NCLEX® review program will leave you feeling ready to conquer the final obstacle between you and your future as a licensed nurse. We can't guarantee you'll pass, but we believe you'll gain the confidence & tools you will need to be successful with itNurse Solutions. Your membership entitles you to unlimited reviews and access to the itNurse TEAM until you are licensed! All at no additional cost! We are a group of Nursing Educators who truly believe in our students! We remember what it was like fighting for the dream of becoming a nurse! We have taken on the challenge of helping our students become successful! Together we are the itNurse Team! itNurse Solutions was developed for nursing students who need help preparing for the NCLEX® EXAM. Many excellent nursing students are struggling to be successful and we want to help! Once a part of the TEAM, always a part of the TEAM! Should you need remediation, you will be able to request to attend unlimited reviews at NO EXTRA COST. 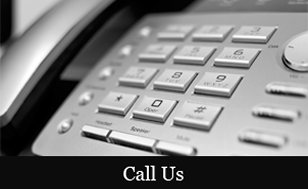 We are always available to answer any additional questions. Contact us via e-mail at info@itnurse.net to learn more about how our nursing exam review can help you! It's time to live the DREAM you have imagined!